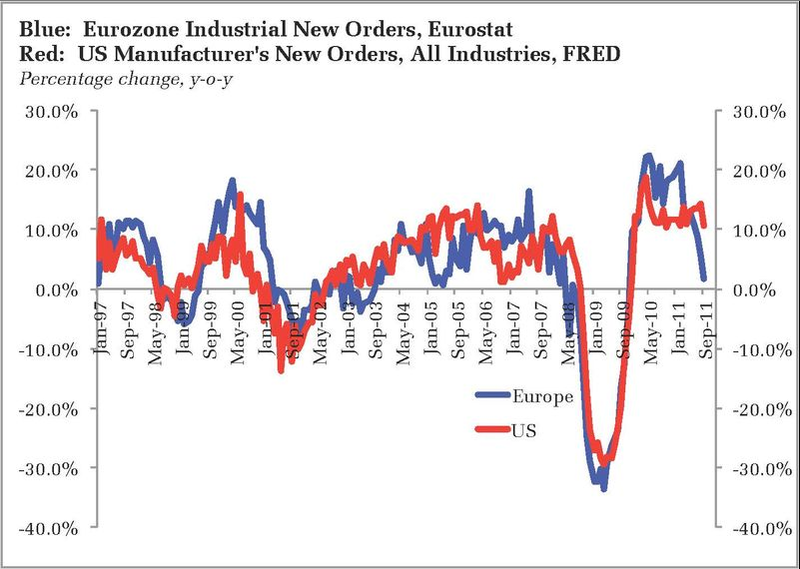 I noted the other day that industrial new orders in Europe appear to have gone off a cliff. Now Tim Duy has a very important post showing the extremely strong historical correlation between European and US industrial new orders. Key graph above. Further evidence that a severe recession in Europe is unlikely to stay on that side of the Atlantic.